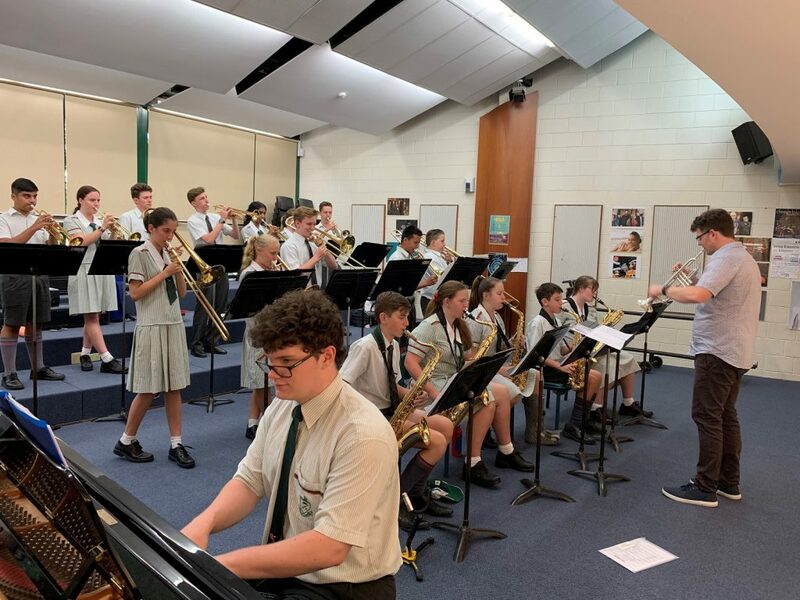 The St Paul’s Big Band has been selected into the ‘Jazz At Lincoln Centre Orchestra with Wynton Marsalis Jazz Workshop Program’, presented by QPAC and Griffith University, with funding from the US Government. This is an enormous privilege for our young musicians to work with some of the world’s finest jazz players. The LCJO (Lincoln Centre Jazz Orchestra) is an American big band and jazz orchestra led by Wynton Marsalis. The Orchestra, touring in March, is part of Jazz at Lincoln Centre, a performing arts organization based in New York City.Their artistic director, Wynton Marsalis is an American icon – a trumpeter, composer, teacher, and the artistic director of ‘Jazz at Lincoln Center’. He has promoted classical and jazz music all around the world, often to young audiences. Marsalis has been awarded nine Grammy Awards and his ‘Blood on the Fields’ was the first jazz composition to win the Pulitzer Prize for Music. At the age of 22, he became the only musician to win Grammy Awards in jazz and classical music during the same year. At the award ceremonies the next year, he won again in both categories. Approximately seven million copies of his recordings have been sold worldwide. The workshop will take place in the Cremone Theatre (QPAC – Queensland Performing Arts Complex) on Wednesday 6 March. Well done students, and to our superb Music teachers for preparing in the lead up to the workshop.